I'm excited to finally be setting up on Steemit and look forward to posting my work here! 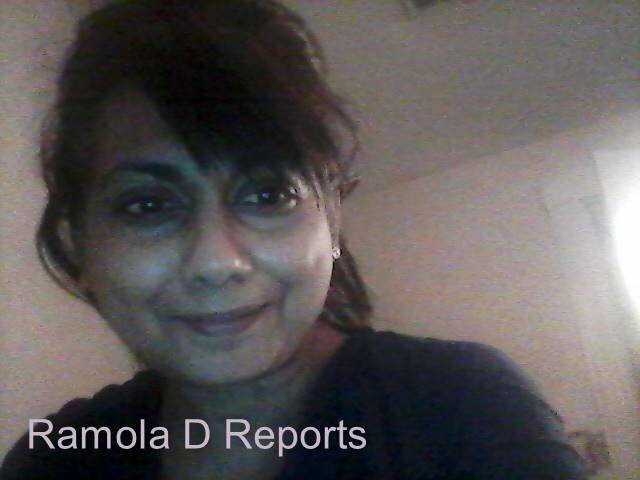 Some of you may know me from my media site and blog, The Everyday Concerned Citizen, or my Youtube channel podcasts at Ramola D Reports. I am an independent science & technology, surveillance & military, ethics, human rights, and consciousness science journalist, fiction-writer, and poet, long time English Composition, Literature, & Creative Writing college teacher and trained journalist who's returned to Investigative Journalism after spending some time as a Solutions Journalist, posting petitions and action items. I especially cover modern COINTELPRO, Surveillance, Military/Intelligence Deception and Psychological Warfare, historic and current non-consensual human experimentation, misuse of military directed-energy & neuro/bio-technologies, Neurotechnology and Mind Control Technology, Nanotechnology, Consciousness Science, and the great need for public debate and ethics in the 21st-Century areas of Neurotechnology, Neuroscience, Nanotechnology, Synthetic Biology, Artificial Intelligence, Cybernetics, Robotics, Wireless & RF Tech, Military Tracking, Remote Sensing, and Surveillance technologies. Much is being hidden on these subjects by mainstream media, which as many know is operating as a propaganda mouthpiece for Covert Ops agencies who like to keep things covert and under whose sooty umbrellas of secrecy much human rights abuse and surreptitious roll-out of extremely pernicious and trans-humanizing technologies is currently underway. 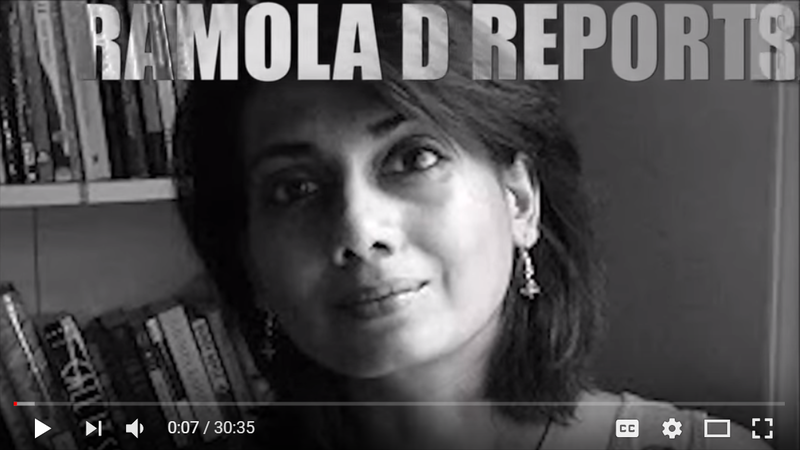 Someone recently looked at my Youtube channel--Ramola D Reports--and relayed through a friend that the stuff I cover is so dark...well, hello Dark! that unfortunately is the state of reality currently: Dark Ops, Black Ops, Covert Ops, Military Deception, Mad Deceit, Psy Ops, Trickery, Punitive Psychiatry, you name it, while bland normalcy-covers are thrown over everything by deceitful criminals in power. If you're awake, you'll know what I mean. If you're swimming however in MSM deception, brain-entrained by Mind Control technology (we're all being entrained but some of us resist)—another dark reality supported by the history of military/Intel development, as well as ethical military/Intel whistle-blowing—you'll want to run back for more Blue-Pill, pull the covers over your head and sink into synthetic dreams all night—which guess what, our Covert Ops Brigade will be happy to supply you with, a la carte and on the house, just about anytime! If you want to know though what I know and have learned, over four years of covering this particular labyrinthine twist of the rabbit hole, after being thrust into the front lines myself, an experience I have shared with a few great media figures including with the truly irreplaceable late Dr. Paul Marko of Pineconeutopia, please stay and visit—I aim to write my soul out till we pull the curtain down on this Black Ops (British? Roman? Wingdings?) Empire we are All stuck inside. Some of my articles reside in a portfolio at Muckrack. Like others who stand up and speak out, I have been retaliated against, including recently, in a story involving public school officials and General Dynamics weapons-testing contracts I have not finished writing about, please stay tuned. Karen Stewart, a true American hero, speaks openly on these matters, including on this Techno Crime Fighters Forum, Episode 57, a weekly broadcast featuring Truth and eclectic Military/Intel/Secret Society research from the JIT, of which I am a part. Suzie Dawson, inspiring friend and investigative journalist, intrepid trend-setter with her groundbreaking #DecipherYou series, recent mega-article and marathon online vigil for Julian Assange, Internet Party President, spent a memorable three hours with me on this Changemakers interview, laying bare her knowledge of NSA practices and protocols as acquired from her close perusal of the Snowden documents; I will write more soon on this subject. My video channels on Vimeo and Bitchute are also Ramola D Reports--and I look forward to posting all on D-Tube too! I am in the process of building these channels up so I can eventually complement or leave Youtube—which is suppressing my views and shadowbanning and generally being censorious, for no reason I can really imagine ;). I have a page on Patreon, for those who'd like to support my work. My poetry and fiction website is currently down and needs reviving or I would link it here, please visit my writer site eventually....I'll aim to restore it shortly. I am fortunate to announce a new short fiction collection coming out soon, from Paycock Press in Fall 2018. I'll start with re-posting some of my earlier posted work, but stay tuned, I will post op-eds, news articles, historic-info articles, and podcasts here soon. Follow me and I'll follow you back! Looking forward to all! Thank you!! I'm so excited to be here! Greeting @ramolad! Welcome to Steemit community! Wishing you the best of luck in this blogging world on behalf of @steemph.antipolo community and leave an upvote to this post. May you grow as person as you learn to socialize online thru Steemit. We welcome you in your journey. Steem on! newborn warrior!! Thank you so much. Will check out your channel! Thank you @markhodge-- I love that! I'm looking forward to posting--there is a lot to post! I'm going to have to figure out how Steemit works too! A big welcome to you Ramola! What an impressive introduction and I hope you succeed in making these dark topics better understood to a wider audience... and to me! Thank you crockettoo! As you may know I have been examining these dark topics for a while...being on the front lines compels such an examination! I look forward to publishing further on these subjects. Welcome! It is so nice to have you here with us. Let me know if you have any questions, and I will try to help if I can. Good luck! Thanks so much! I actually have no to little idea how this all works! So will appreciate any help! i hope to check out the tutorials and figure things out as I go along. First step was learning Markdown this morning--which seems to have worked! OK...yea...the best thing here is to learn by doing. One thing you HAVE to know about it: steemnow.com, because it shows you where you stand with your steempower, who is voting up your posts (or down..let's hope not) and so forth. Just enter your name over on the right, and look it over. If any specific questions pop up, I'll be around... Have fun! Thank you Margharet for examining this story and publishing your views-- you are absolutely right, psychiatry is being used as a tool against whistleblowers and journalists by obvious criminals to cover up their crimes. The attempt to use it against me is also criminal; I continue to examine my options to contest this crime, and will most certainly publish further on the subject. I will check out your videos and work too--thank you for posting the links. Thank you so much. I'd like to think we're all working together as we speak out openly--as we need to! Looking forward to connecting with all on Steemit! @ramolad, A warm welcome to Steemit. This is a great community and I know you will have a great time here. 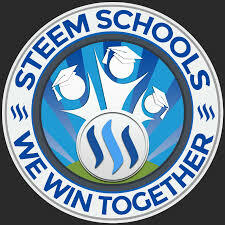 I want to invite you to join the discord channel #steemschools https://discord.gg/eTZqQvk and we will teach and support you to grow up in Steemit, to choose the right topic to attract readers, to use the right tags to get more visibility, how to make quality posts and comments on Steemit. Thank you -- you read my mind! I need some schooling on this subject, will join!